During his first post-doctoral position at Stanford University (1949–1950), he derived the Rosenbluth formula, which was the basis of the analysis used by Robert Hofstadter in his Nobel prize-winning experimental investigation of electron scattering. Hofstadter refers to this in his 1961 Nobel Lecture: "This behavior can be understood in terms of the theoretical scattering law developed by M. Rosenbluth in 1950". In 1953, Rosenbluth derived the Metropolis algorithm; cited in Computing in Science and Engineering (Jan. 2000) as being among the top 10 algorithms having the "greatest influence on the development and practice of science and engineering in the 20th century." However, by the late 1950s, Rosenbluth turned his attention to the burgeoning discipline of plasma physics and quickly laid the foundation for many avenues of research in the field, particularly the theory of plasma instabilities. Although he continued to work on plasma physics for the remainder of his career, he often made forays into other fields. 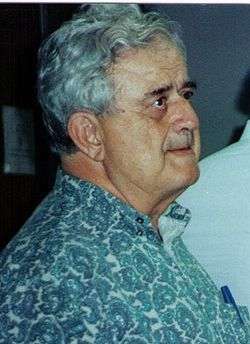 For example, around 1980, he and coworkers produced a detailed analysis of the free electron laser, indicating how its spectral intensity can be optimized. He maintained a high productivity rate throughout his entire career. Indeed, only a few years before his death, Rosenbluth discovered the existence of residual flows (so-called Rosenbluth-Hinton flows), a key result for understanding turbulence in tokamaks. ↑ Larry R. Faulkner; Sue Alexander Greninger (2004-09-24). "In Memoriam - Marshall N. Rosenbluth". UT Austin. Retrieved 2007-10-31. ↑ Kim A. McDonald, Nuclear Fusion Pioneer At UC San Diego Dies At 76, obituary at the University of California website. Retrieved 2008-07-08. I. Beichl and F. Sullivan, "The Metropolis Algorithm", Computing in Science and Engineering, Volume 2, Number 1, Jan/Feb 2000. J.E. Gubernatis, "Marshall Rosenbluth and the Metropolis Algorithm", Physics of Plasmas, 12, 057303 (2005). Metropolis, N.; Rosenbluth, A.W. ; Rosenbluth, M.N. ; Teller, A.H.; Teller, E. (1953). "Equations of State Calculations by Fast Computing Machines". Journal of Chemical Physics. 21 (6): 1087–1092. Bibcode:1953JChPh..21.1087M. doi:10.1063/1.1699114. Marshall N. Rosenbluth Papers MSS 670. Special Collections & Archives, UC San Diego Library.